Robert Johnston is an apartment investment specialist in the firm's founding Palo Alto office. As a Senior Vice President of Investments, Robert exclusively represents buyers and sellers in the acquisition and disposition of multi-family and single-tenant retail properties throughout the country with a concentration in the Bay Area. Robert has established himself as a leading Bay Area apartment broker. Among other transactions, Robert recently closed a highly publicized apartment in Belmont for $23.65 Million. Robert Johnston ranked as a top 40 agent nationwide (out of approximately 1600 M&M agents) in 2015 and was recognized as such in the Wall Street Journal. He was a top 5 Palo Alto Investment Professional in 2016 and 2015 and a top 10 investment professional in 2014, 2013 & 2012. Robert received a Chairman's Club Award in 2016 and 2015 and National Achievement Awards in 2016, 2015 & 2014. 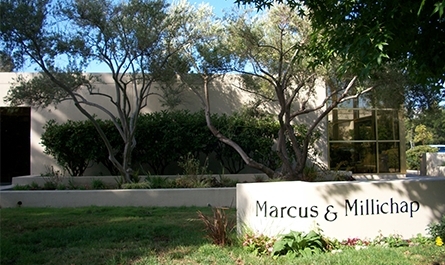 Robert is a Director of Marcus and Millichap's National Multi Housing Group. Robert Johnston is a member of the Silicon Valley Association of Realtors, MLS, LoopNet, Costar and Tri County Apartment Association. He graduated from Arizona State University in 2007 with a BS in Real Estate Development and in his spare time he enjoys traveling, golfing and spending time with family, friends and his new bride, Natalie. grow and sustain wealth for investors throughout the United States.